The Lebanon and our Church Schools - what's the connection? Written by our Guest Blogger, Katie Dowds, who has just returned from the Lebanon on a short term mission with the charity 24-7 Prayer International. Katie's article draws an interesting parallel between what is happening in the Middle East to bring the Gospel to different communities and how this is just as relevant within our Church Schools today. 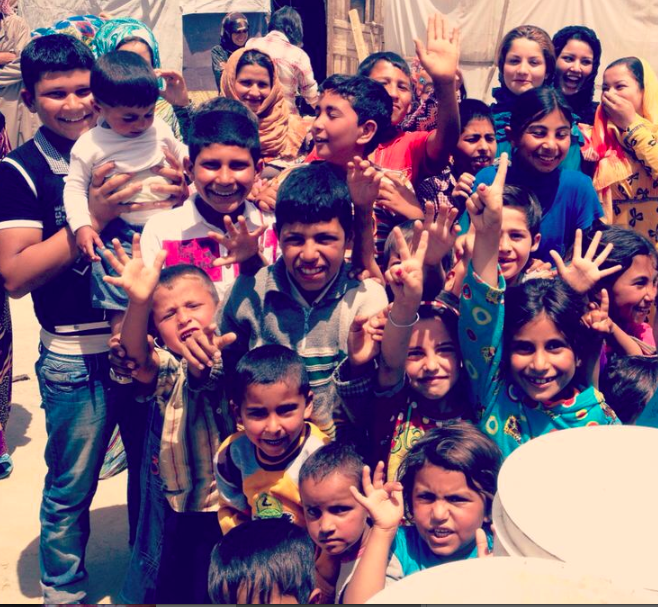 Having just returned from a short term mission trip to Lebanon, I was struck by the simple yet incredibly effective way in which the gospel is beginning to spread throughout the Syrian refugee camps. It is a gospel not just taught but caught as the long-term missionaries and local church devote themselves to building relationships with their Muslim neighbours. And it all begins with a football and some hokeykokey. I saw this first hand as our team of 8 was dropped off at a camp that had had very little previous contact with foreigners. Our instructions were simple "Go play with the children. They are the key to the community. If you win the children over, you win the mothers over, if you win the mothers over, you win the family over. Before you know it, you've won the whole camp." Sure enough, after two hours of singing, dancing and football playing, the suspicious and wary faces we had been greeted by were now beaming as we were hugged, kissed and bustled into numerous tents for some sickly Syrian tea. A few hours spent with the children had provided a way in to an otherwise closed community. Christians could now turn up at that camp unannounced any day of the week and be guaranteed a warm welcome. Why? Because they had recognised that children are the key to the community. "All fine and well," I hear you say, "but what's this got to do with Church Schools?" Admittedly, our culture is rather different to that of the Middle East, but I believe the principle still stands. In a country in which church is increasingly disregarded as boring and irrelevant, our schools are often the only connection that remains between the local church and community. In short, children are not just a way into the community, more often than not, they are the only way. All of which begs the question as to what the primary calling of our Church Schools is exactly? How committed are we to building communities that will reach communities with the love of God? For all too often the temptation is to focus all of our energy and efforts on achieving good grades and outstanding OFTSED reports. Meanwhile , the "faith aspect" of our schools becomes just that, nothing more than an aspect fitted around the curriculum rather than a schools founding principle. For as important as academic success is, good exam results are not actually what Church Schools are about. On the contrary, communicating the person of Christ to the young people in our care, that they might then go on to imitate Him and influence communities for His glory – integrating faith and action alongside a love for wisdom and truth – is the number one priority of every Church School. That is our calling. Academic success ought to be nothing more than a brilliant bi-product of teachers and schools committed to embodying the person of Christ. For after all, the children are the key to the community, and, as my wise old Lebanese friend tells me, "If you win them over, you win the camp."